The 15th entry in the Nobunaga’s Ambition series brings some fresh ideas to the table. 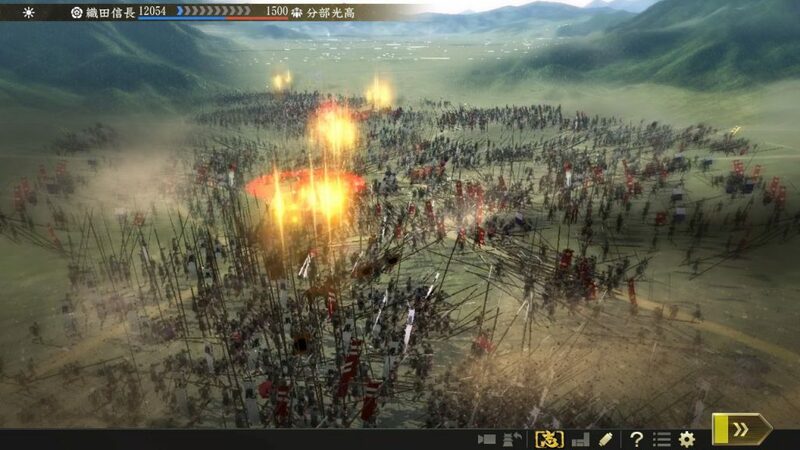 Nobunaga’s Ambition: Taishi is a historical simulation strategy game set in The Warring States era. The game offers over 2000 different officers and players will have to use clever strategies and tactics to survive. The Resolve system is a new feature and it makes each officer in the game quite unique. Apart from this, there are also some other new changes and improvements. To learn more about these, Gamingbolt reached out to the developers with some questions and they provided the following answers. 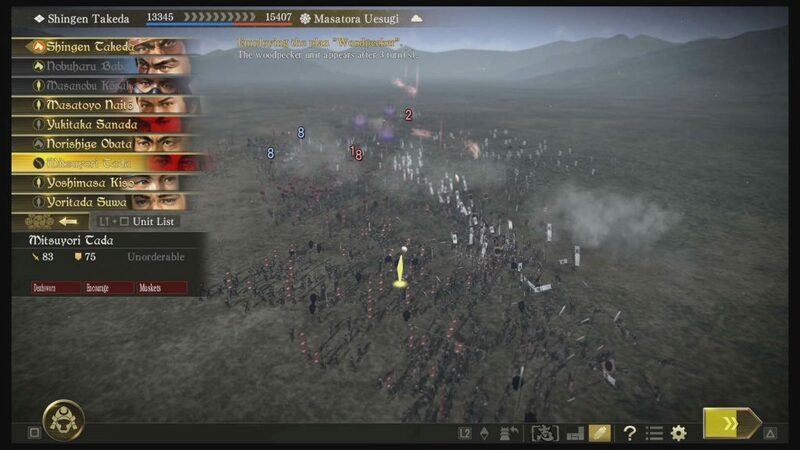 "The main focus is on the “Resolve” system, where each officer has their own aspirations or “Resolve.”"
Being the fifteenth game in the series, what’s new in Nobunaga’s Ambition: Taishi? The main focus is on the “Resolve” system, where each officer has their own aspirations or “Resolve.” Not only can players experience a different kind of play style based on the “Resolve” of the Daimyo, but the AI of the NPC Daimyo can also change based on his “Resolve.” One of the new elements are “Policies,” which adds the element of strengthening clans by gradually gaining policies through the influence of proposals, and the configuration of the policy trees differ according to the Daimyo. In addition, the “Trade Zones” are newly introduced. By deciding how to advance, invest, and/or monopolise Trade Zones in your own and other territories, the amount of money that can be earned greatly changes. In battles, the war situation is a new element that greatly influences the outcome of battle. What are some of the inspirations you drew from when developing this game? The Nobunaga’s Ambition series has featured many Daimyo families, but the challenge was that the play style hasn’t changed that much. The AI and COM behaviour patterns remained as several patterns, without many changes being shown. The result of resolving these challenges, and the collection of ideas where the reality of historical fact and coexist, is the crux of this game – the “Resolve” system. The game has a really low score on Steam, but it looks like you’ve addressing these issues. What were some of the major problems players had experienced? As a result of simplifying the domestic aspects on the one hand it was easier to use but resulted in less things to do which made players dissatisfied. Also, since we made the system where officers don’t need to always be selected through commands, the presence of the officers felt thin. The UI wasn’t as refined as intended as well, so there were many unsatisfied comments regarding the UI which affected the score. However, over the past six months we’ve applied updates such as the addition of the development command and improvements to the UI, so our understanding is that the feedback has improved bit by bit. What can you tell us about the Resolve System and how it works? The play style changes according to the Daimyo selected, and we implemented it aiming for it to be a means of enjoying different behaviours. The “Resolve” of the Daimyo has various effects on the clan. Certain clans may have their sources of revenue increase and foot troops are strengthened, while other clans may be able to easily change their diplomatic relations, and other clans may be successful in agriculture causing its population can increase easier, so the effects of the Resolve will lead to different types of play styles. What are some of the important mechanics to keep in mind when developing a game within such a genre? Historical simulation games tend to face the dilemma of having the exciting elements of a game or being realistic and sticking to historical fact. In these cases, how to have these two sides co-exist, or choosing which should take precedence are important points and are really difficult to decide. On top of that, when it is part of a series, it is important to differentiate it from previous titles. The degree to which these points can be cleared are linked to the game’s completeness and is a never-ending issue that we face. What made you decide on the Sengoku era for this game? What are some of the exciting things players can look forward to about this era? Nobunaga Oda is an unparalleled and the most fascinating person in Japanese history, and the Sengoku era was a turbulent time where anyone who had the ability or talent could try and take control over the land. During this period there were so many fascinating and active individuals in addition to Nobunaga Oda, which makes it so exciting and the reason why we selected this period. 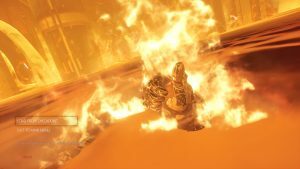 "I felt the difficulty of incorporating a breath of fresh air into the title while trying to retain the core values of the series – but we managed to overcome our hurdles." How are the lives of the officers given depth in this game? For the over 2000 officers in this game, we referenced historical fact to come up very detailed settings such as their abilities, birth and death years, personality, and relationships. The degree to which you can closely follow and experience history is a level of depth that is not found in other games. 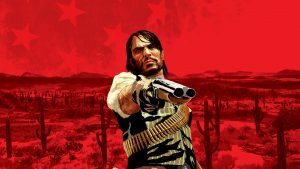 Are there plans to bring to have a Western release for the Nintendo Switch? Currently we have no plans to release the Switch version for the West. What are some of the challenges you faced during the game’s development? The Nobunaga’s Ambition series celebrates its 35th anniversary this year, and the team has become younger than ever before. 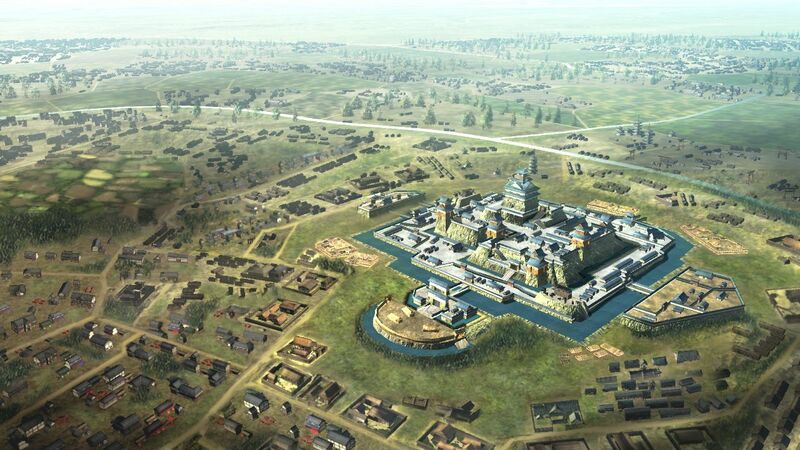 As a result, the dev team was largely compromised of members who were new to creating historical simulation games, so we encountered times where we’d have to re-do certain areas; it was a big challenge to manage the team and take care of their motivation while developing the younger staff’s skills. I felt the difficulty of incorporating a breath of fresh air into the title while trying to retain the core values of the series – but we managed to overcome our hurdles. Given that you are now working on both the PS4 Pro and PC, what kind of technical differences did you found between the two? 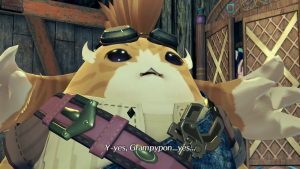 From a graphical and technical point, we are pretty much doing the same things for the PC and PS4 versions, so we developed the PS4 version using the PC version as the base. The difference is that for the PC version, we needed to provide graphic settings that would work in lower spec PCs. In a recent interview, Mark Cerny, the lead engineer of the PlayStation 4 Pro claimed that converting a base PS4 game to PS4 Pro version is just 0.2 Or 0.3% of the overall effort. What is your take on this? Do you think that the extra work required to develop an additional Pro version will actually be bigger than the number quoted? We developed the game using the PC version as the base, but the PC version is also 4K compatible, so we were able to make it PS4 Pro and 4K compatible, without causing too much additional technical work for our programmers. As the resolution increases, the officer illustrations require a much higher quality when reading in the data, so I think it was challenging for the CG designers. Sony has an advanced work distributor in PS4 Pro along with new Polaris features like Delta color compression. What is your take on these features and do you have plans to take advantage of them? We continuously look into ways of incorporating the latest features, and we are aware that in order to unleash the full power of the PS4 Pro, we will need to continue to learn and properly take advantage of its features. "There are no in-game micro transactions or loot boxes. We only have DLC as additional content." Is there a specific reason why you are not launching your game on the Xbox One? Since the subject matter of this game is for quite a niche audience, from a marketing perspective we took a targeted approach. Does the game have any sort of microtransactions or loot boxes? There are no in-game micro transactions or loot boxes. We only have DLC as additional content. What is your take on the recent trend of Games as a service model and the possible controversial monetization practices arising from it? I think is it important to be flexible and be able to change the business model in order to suit the circumstances that draw in players. However, regardless of the business model, it shouldn’t take the form of something that tricks or deceives the players, and it is more important to provide an experience that players can enjoy and be moved by that is worth more than its monetary value. The current generation of consoles will probably end in the next couple of years. What is your biggest expectation from the next PlayStation and Xbox? I think that game livestreams and broadcasts that require only the game console (hardware), and the wide use of ranking systems in the context of eSports ; the flexibility of having these services might be the next step. From a developer perspective, do you think the next-gen console era will be the 4K/60fps era? Graphics continue to evolve, so it might become a time where having 4K/60FS is a given. But with the presence of VR and the spreading of techniques of moving 2D graphics, I think that the next generation of consoles will probably be not just about beautiful visuals but will also advance in another direction as well. Is there anything more you’d like to tell our readers? If you have even the slightest interest in Japanese history, I hope you will try a game in the Nobunaga’s Ambition series – in particular Nobunaga’s Ambition: Taishi. There is a unique culture, way of thinking, and unfolding battles that would be unimaginable in other cultures and time periods, and as you become familiar with the various Daimyo and officers, you’ll be come hooked on its indescribable depth.